An open letter calling for the “renewal” of the New Democratic Party on Tuesday was signed by 37 members, including former members of parliament and Concordia student Julia Maksymetz. The letter published in Le Devoir and the Toronto Star included former MP signatories Jamie Nicholls (Vaudreuil-Soulanges), Hélène LeBlanc (LaSalle-Émard-Verdun), Élaine Michaud (Portneuf—Jacques-Cartier), but a second, more pointed letter, was published later that day by campus groups. The second letter written by students went further, asking leader Thomas Mulcair to step down, criticizing the election platform for “lacking progressive vision.” Mulcair’s campaign forced students to argue against issues they care about, such as the legalization of marijuana, tax hikes for Canada’s rich and investment in infrastructure and youth employment. The letter says young NDP members felt they had to speak both in favour and against the Energy East pipeline, in line with the campaign’s ambiguous position on exploiting oil. Maksymetz, who was a representative in the original letter, says the point of the second letter was to show that different opinions exist within the Party. “Although we completely stand behind the statement we issued today, there are others that are slightly more reluctant, so we wanted to encourage a broad array of opinions to be brought forward,” she said. With all signatories coming from Quebec for both letters, Maksymetz says the province has questions for the party, which lost 59 seats in the last election. Only 16 MPs remain in Quebec as of the Oct. 19, 2015 results, down from 59 MPs elected in the province in 2011. The student letter mentioned international leftist politicians Bernie Sanders and Jeremy Corbyn, calling them “unabashed” and asking the NDP to elect a similar leader. A leadership confidence vote will be held at the party’s Edmonton convention in April. 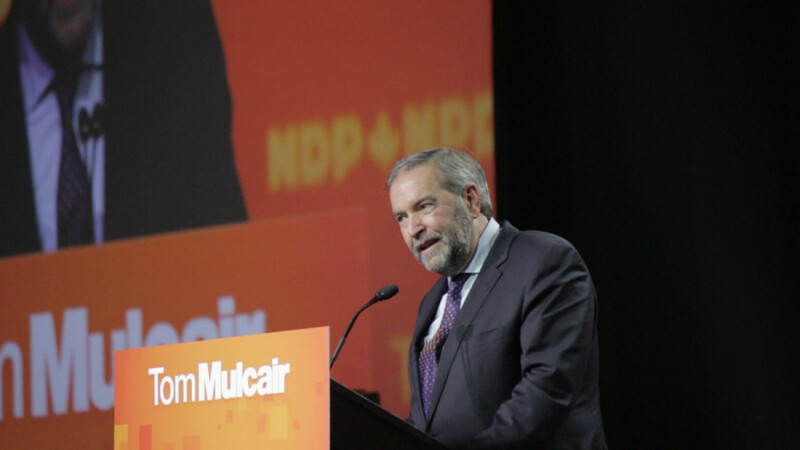 Mulcair will have to win 70 per cent of the vote to continue leading the party.